Russia will go into a deeper financial connection with China amid western sanctions, said Russian Deputy Finance Minister Alexei Moiseev. In a report from FT, Moiseev revealed several new measures that would lessen the Asian nation's reliance to the West, bringing the Chinese and Russian financial markets closer with each step. Among these include a finalization of a deal between the two countries that would link China's national electronic payment network to a yet-to-be-launched credit card system in Beijing. Moiseev noted that Russia is now taking these measures more rapidly due to the pressure brought about by sanctions from the West. "The motivation has increased significantly. We are driven by outside [events] to develop bilateral financial links," Moiseev explained. Many believe that there is a big chance the world might see a change in the global superpower if Russia and China joined forces against the carefully calculated Western-led order. In fact, according to The National Interest, the mere fact that the two countries had increased their economic, security and diplomatic ties had made the "already fragile Asia-Pacific region" more complicated. According to the outlet, several analysts see such collaboration as the beginning of a destabilization of a "Western-led order," which would also mean that the power of the United States in influencing strategic outcomes in the Asia-Pacific region will weaken. 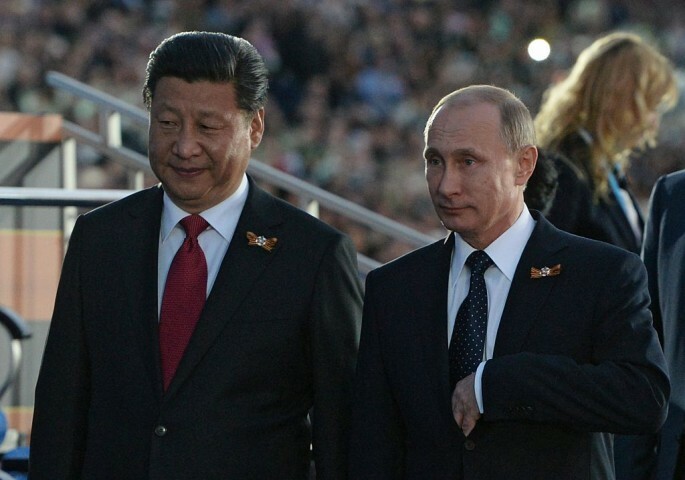 China and Russia's ties had become subject of several analyses and yet there remain two views that outline the basics of how it would work out. According to an in-depth report from Foreign Affairs, the first view depicts the relationship to be "vulnerable, contingent, and marked by uncertainties," something that can be considered a "marriage of convenience." On the other hand, the second view considers the countries' common objective which entails imposing their similar ideologies without the interference from the United States and other western countries, deeming the relationship as an "anti-U.S., anti-Western alliance." Is The U.S. Gearing for Another Cold War? With the U.S. being a common denominator in Russia and China's actions, some analysts believe that the western superpower would most likely show its "power" to the two infamous nations. In a report from Press TV, former U.S. army psychological warfare officer Scott Bennet said that U.S. Defense Secretary Ashton Carter may have done just that when he sailed across the South China Sea. "Ashton Carter going onto an aircraft carrier into [the South China Sea] is simply making China see that the United States is gearing up for another Cold War, which of course has been the agenda of the military-industrial complex since it was badly disappointed with the end of the prior one," he said. According to Bennet, Carter's deed should be "taken with a degree of defense and aggressive intolerance" from the other nations from the West since "they got a good track record to go by."